Paying taxes in Indonesia is becoming easier thanks to digital technology and legal reforms. According to a joint study by financial consulting firm PricewaterhouseCoopers (PwC) and the World Bank, Indonesia has improved to the 104th rank among 190 economies assessed. 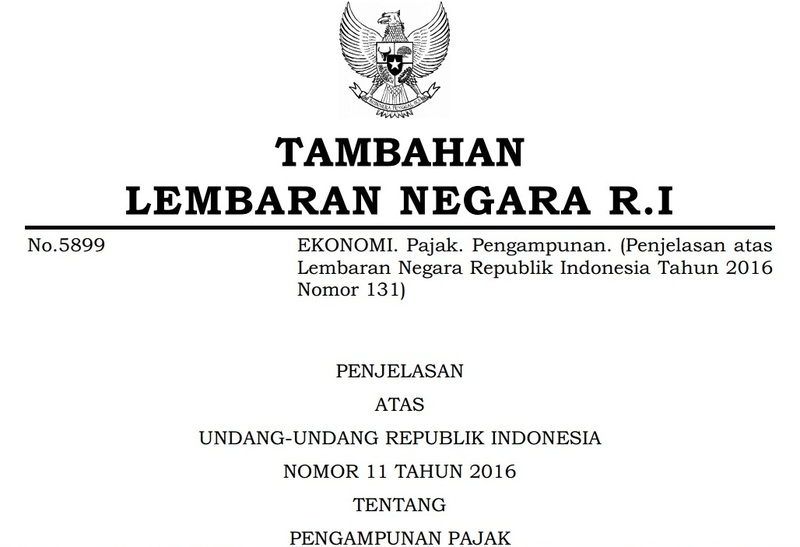 The study, entitled ‘Paying Taxes 2017’, was released on Thursday, showing that Indonesia’s rank in 2016 increased by 44 places from the 148th place last year. In 2014, Indonesia was ranked 160th. “Indonesia’s significant improvement of 44 places in the Paying Taxes 2017 study reflects the use of electronic social security systems and on-going positive tax reforms. The government’s focus on improving the ease of paying taxes is the right step in encouraging tax compliance,” Ay Tjhing Phan, PwC Indonesia’s head of tax and legal services, said in a statement. Even though it has a massive potential tax base given the population of 255 million people, Indonesia’s current tax-to-GDP ratio stands at less than 12 percent, below the typical Southeast Asian rate of 13 to 15 percent. Moreover, Paying Taxes 2017, which is based on calendar year 2015, also found 43 different payments required of each Indonesian taxpayer annually, taking 221 hours to complete. “It’s just too long and complicated. Hence, the government really needs to develop an integrated digital platform to ease the payment scheme further,” said Yose Rizal Damuri, who heads the department of economics at the Centre for Strategic and International Studies (CSIS). The government, through the tax office, has been pushing for reforms in recent years, including by launching an electronic system for submitting tax reports, in a bid to eventually increase tax compliance. “We need to keep disseminating this scheme, so that people will be encouraged to submit their tax forms online,” said Suryo Utomo, an expert on tax compliance at the Finance Ministry. The government has also launched a tax amnesty, which is aimed to help plug the widening state budget deficit and increase the country’s tax base. The first phase of the program saw Rp 3.6 quadrillion (US$277.18 billion) in assets declared by the end of Sept. 30, around 90 percent of the targeted Rp 4 quadrillion. However, those funds were declared by fewer than 400,000 taxpayers, a tiny fraction of the country’s 30 million taxpayers, according to data from the Finance Ministry’s Directorate General of Taxation. The majority of participants in the first phase were those who already had a taxpayer number and had previously submitted tax forms, meaning the program only attracted a small number of new taxpayers, recorded at 15,856. Center for Indonesia Taxation Analysis (CITA) executive director Yustinus Prastowo said the recent political turmoil in the country might hamper the implementation of the second phase of the tax amnesty, which will end on Dec. 31.